Time Auction is an incredible organization that rewards dedicated volunteers by providing a platform for them to meet inspiring mentors after completing their pledged volunteer hours. Anyone who completes 10 HandsOn volunteer hours each month is eligible to "auction" these hours for the chance to meet one of these inspiring mentors or take part in an exclusive workshop. Sign up at www.timeauction.org for the chance to turn your commitment into something even more special. Basics for Basics is a one-stop shop for ethical fashion. All of the brands they stock offer clothing that is made ethically and sustainably. They produce and support products that are true to their values: having a minimal carbon footprint and making sure that people involved in their manufacturing are treated with dignity and respect. 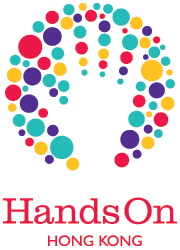 Each time a HandsOn volunteer takes part in an activity they receive 100 points. 1,000 points is equal to $10 off Basics for Basics clothing items, 2,000 points is equal to $20 off. Visit their website to learn more about this rewards program.